Lübeck, a UNESCO World Heritage site since 1987, was one of the great mercantile cities in the Middle Ages. The Old Town island, surrounded by the river Trave and the canal, today still communicates the charm of a port. Travemünde is one of the most beautiful sea resorts of Europe which already in 1802 transformed the former fishing- and sailor village into a top address for bathers from near and far. The fascinating sailing Old-timer “Passat”, chugging deep-sea fishing boats and gigantic ferryboats can be admired on the Baltic Sea. Ultimo and Piste are free monthly ‘What´s-On’ magazines. Opening hours: Enjoy art, culture and shopping in the unique setting of the world heritage site. There is a huge variety of great shops, brands and small boutiques. Shops open from 9 am/ 10 am and are open until 7 pm/ 8 pm, Monday-Saturday. Many museums and some restaurants close on mondays. Tucked away behind the tall, steep-roofed and closely-packed houses built by prosperous merchants, lie tiny workers’ cottages in a thread of narrow passageways. Meander among the ‘roses round the door’ almshouses of Glockengießerstraße, and behind the An der Obertrave quay, to discover hidden oases of pretty streets and enchanting courtyards. Cross bridges or take a river cruise for endless eye-catching views. Behind the thick walls of Lübeck’s famous Landmark an Exhibition entitled “The Hanseatic League – The Power of Trade” invites you to a fascinating medieval world of a Lübeck merchant and of global trade and seafaring. Incidentally, the city gate was equipped with 30 cannons in the late Middle Ages, but none has ever fired a single shot. The Romanesque church was erected between 1227 and 1250. She isn’t used for church services any more. Nowadays the bright church hall is used for events and exhibitions. During the Christmas season a beautiful craftsmen’s market takes place inside. The observation platform offers a spectacular view on the Old Town. Heinrich and Thomas Mann are two of Lübeck’s most famous sons. The Buddenbrook-House is dedicated to the two writers and the “Buddenbrooks”. 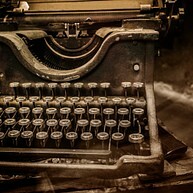 This is the place to find out all you ever wanted to know about the Mann family and their works. Walk through the house with its authentically furnished rooms and feel as if you were walking through the novel itself. 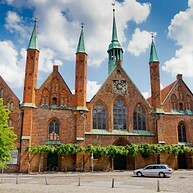 Sympathetic and responsible Lübeck residents built the Hospital of the Holy Spirit, where care was provided for the elderly and infirm already in the 13th century. At Christmas time, visitors to the arts and crafts market in the hospital’s vaulted hall can soak up the medieval atmosphere. This Lutheran church is full of art and atmosphere, with a very moving Chapel of Memory. It was constructed between 1250 and 1350 and is the third largest church in Germany. CLOSED DUE TO RENOVATION WORKS UNTIL 2020 The Puppet Theatre Museum is a magical universe of puppets with over 1,200 exhibits from around the world. It is displayed in five half-timbered houses in the romantic Old Town. Hidden behind the ancient walls are the legacies of three dynasties of puppeteers: puppets and stages, props, posters and barrel organs. 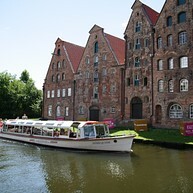 Not far from the Museum is the Lübeck Puppet Theatre (Kolk 20 – 22) with a daily changing Programme. This museum is dedicated to the multi-talented Günter Grass, Laureate of the Nobel Prize for literature. Besides housing an interesting exhibition of manuscripts, drawings and sculptures, the building is also a forum for literature and fine arts. The house also has a beautiful garden, a shop and a café. In two magnificent merchants’ houses – almost palatial in their grandeur – modern-day visitors can see what life was like in Goethe’s time. 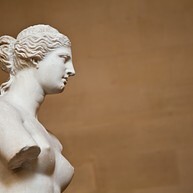 The two houses, which have been combined to form one museum, also house a collection of paintings from the 19th century to classical modernism. 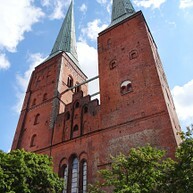 Lübeck's Cathedral dates back to the year 1173. The massive 15th-century Triumphal Cross and beautiful rood screen were made by Lübeck master Bernt Notke, and there’s superb modern stained glass. 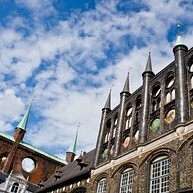 Lübeck Town Hall is one of the most beautiful town halls in Germany. In 1230 its construction started right in the centre of the Old Town on the market. The dark bricks of the Town Hall make a striking contrast to the traditional red-brick construction of the surrounding buildings. The patricians extended the building several times, adding the magnificent freestone facade, the decorative balcony and the three towers, known locally as the“giants”. Stroll around this museum and learn more about the diverse flora and fauna in the Lübeck region. This is a great place to get a fascinating insight into the natural history of Schleswig-Holstein, including a gigantic 14-metre-long skeleton of a sperm whale and other fossils. There is a wide range of events and holiday programmes provided at the museum. Dramatic staging and multimedia services are used which allow visitors to gain a much better understanding of the German history of the 20th century. The permanent exhibition of the German Federal Chancellor Willy Brandt Foundation shows photos from all stages of the famous politician's life. Official documents, which include the letter to John F. Kennedy written immediately after the Berlin Wall was built, and the manuscript of the government declaration from 1969 with the famous slogan "let's dare more democracy", are just as much part of the exhibition as Brandt's school leaving certificate or a letter to Nora, his daughter living in Norway. Interview transcripts and newsreels show the public appearance of Willy Brandt from his time as mayor in Berlin up to his resignation as German Federal Chancellor. The Füchtingshof is located in Glockengießerstraße below St. Catherine’s church. 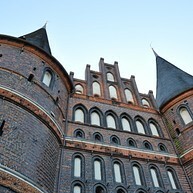 It is one of the biggest and magnificent courtyards in Lübeck. 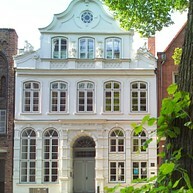 The listed early Baroque housing area belongs to the charity foundation “Johann Füchting Testament” that still exists today as an autonomous foundation. 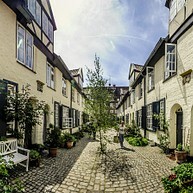 Since 1639 the courtyard serves as a housing estate for widows of sailors and merchants. After a modernization and renovation in the 1970s 28 apartments are available. Still inhabited today, this courtyard became an oasis in the center of the Old Town. 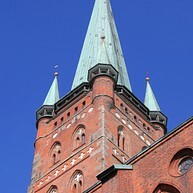 St. Jacob's is easy to recognise from a distance as it has four spherical globes on the tower's helm edge. The three-naved Gothic brick hall church (built in 1334) has been the church of seafarers since the Middle Ages. It was consecrated together with St. Mary's and St. Peter's. Since the church did not suffer any damage during the 2nd World War, the boxed pew and historic organ are still intact. The small "Stellwagen organ" is one of the best preserved examples of North German organs from the 16th century. A lifeboat commemorates the sinking of the four-masted barque "Pamir" in 1957. It is located in the north tower chapel and represents the "National Memorial for Civilian Shipping" today. Guided tours in English: From May – Oct and Dec Sat: 11.30 am Meeting point: Welcome Center Duration: approx. 2 hours Individual guided tours of the city: Our experienced city guides are available for exclusive thematic tours any time you like, offering tours in German, English, Dutch, French, Swedish, Danish, Chinese, Norwegian, Finnish, Spanish, Italian, and Japanese.